If you are a Quebec resident, you must use the Société de transport de l'Outaouais (STO) tickets or passes to use our services. OC Transpo Attendant Card. The attendant can travel for free on the STO's system. 1.Tap your PRESTO on the reader. Wait for the green light showing that your card has been validated. 2.Show the back of your PRESTO card to the driver. You must pay your fare using another payment method. In this case, ask the driver for a transfer (your proof of payment in case an inspector asks to see it). If you think the red light could be due to a technical problem, please go to one of our service points. If you are paying as you go with your PRESTO card (e-wallet), it is not possible to start your trip on an STO bus. 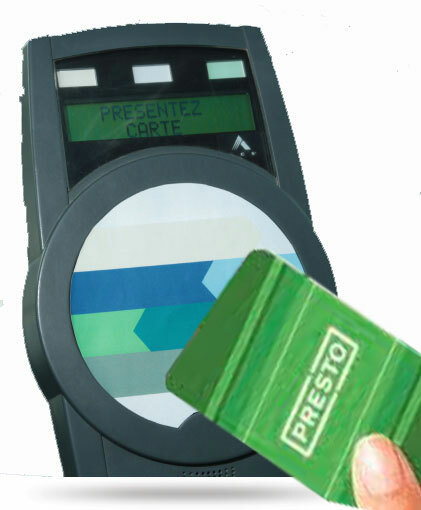 However, you can use the PRESTO to transfer to an STO bus from an OC Transpo bus during the validity period of the transfer. CNIB card and Ontario Cuide Dog Access card for people with a visual impairment. These riders must pay the applicable STO fare. To avoid fraudulent and improper use of OC Transpo passes accepted on the STO system, proof of residency in Ontario in the OC Transpo service area may be requested at any time. Improper use of these transit passes can result in payment of the applicable STO fare being required.